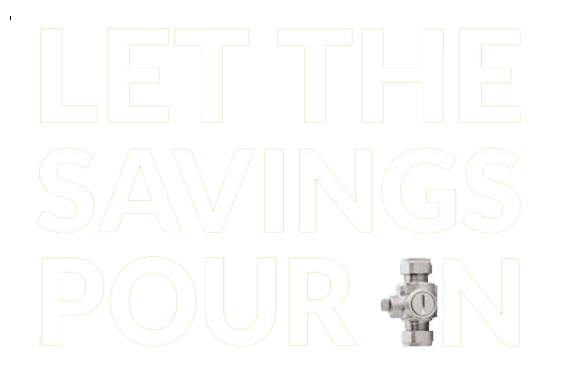 Our instant Money Saving Calculator will show you just how much money a home could be saving once Wondervalves are fitted. You don’t just save on metered water by using less, you also save on water heating by using less hot water. Plus it’s good for the environment – that’s the wonder of Wondervalve! Taps in basins output from 1 – 17 litres per minute. We have chosen an Estimated Current Flow rate of 10 litres a minute.The British Dental Health Foundation suggest that to maintain oral hygiene people should spend 5 minutes a day brushing their teeth. 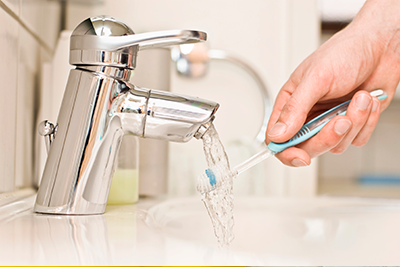 We have chosen a total usage of 5 minutes per day for basins which includes brushing teeth and washing hands. We have chosen a mix of 30% hot and 70% cold water for the basin. 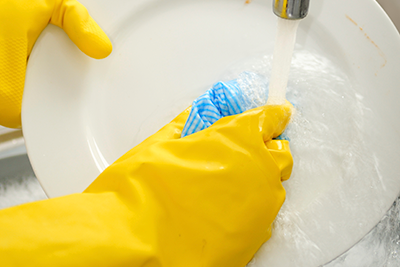 Kitchen taps in basins output from 1 – 19 litres per minute. We have chosen an Estimated Current Flow rate of 12 litres a minute. We have chosen a total usage of 3 minutes a day. We have chosen a mix of 70% hot and 30% cold water for sinks. Waterwise says a typical mixer shower will use 9-12 litres a minute, a power shower can use up to 16 litres a minute and multi-head showers can use up to 45 litres a minute. We have chosen an Estimated Current Flow rate of 15 litres a minute. Waterwise also tells us that on average people spend more than 10 minutes in the shower. However for our figures we have used a 5 minute shower a day as a typical time. How we calculated your water saving per year. OFWAT says it costs us £0.002 for the supply and sewage related to one litre of water. We multiplied the saving in litres per day by that figure to give your saving in pounds. The average cost we used is 4.3 pence per 1 kWh. We multiplied the litres of hot water by £0.003121 to give the cost of hot water. We then worked out how much hot water the Wondervalve would save and showed you the saving in pounds. Hot water generates 0.021kg of CO2. We used those figures to generate the CO2 saving the Wondervalve would generate. *Savings are based on comparing an unregulated flow rate (ltr/min) and usage in minutes, in a household of 4, versus a regulated flow rate (ltr/min) . For a wash basin these were: 4 minutes with an unregulated flow rate of 10ltr/min compared with an regulated flow rate of 4ltr/min. For a sink these were: 3 minutes with an unregulated flow rate of 12ltr/min compared with a regulated flow rate of 6ltr/min. For a shower these were: 8 minutes with an unregulated flow rate of 15ltr/min compared with a regulated flow rate of 8ltr/min. Water is at an average cost of £3.20 per 1000 ltr for the supply and gas £3.80 per 1kWh. These costs were accurate as of May 2017.